This is the official site for the former students and staff of the Chilocco Indian Agricultural School, i.e. the Chilocco National Alumni Association, founded and organized in 1980 through the State of Oklahoma and the Internal Revenue Service as a non-profit entity. Since the closure of the school in 1980, the 5,000 plus acres, through Congressional action, was equally divided and transferred to the five (Kaw, Otoe-Missouria, Pawnee, Ponca and Tonkawa) North Central Oklahoma tribes. However, the 165 acre main campus and all major buildings is held jointly by the five tribes as a confederation. Fortunately, the Chilocco National Alumni Association has been able to obtain permission to use appropriate campus sites for annual reunion activities. As of 2008, the campus, with the major buildings, is now listed on the National Register of Historic Places. CNAA has a digital story about Ernest Childers. It is narrated by his daughter Elaine Childers. . The 2019 Reunion is in honor of the Class of 1969, your 50th anniversary since graduation. Make contact with each other and make plans to attend. Banquet time is alloted for the Golden Class. Contact the CNAA President with your plans. Chilocco was one of the orirginal boarding schools. As a first, it had numerous first throuhout its 96 year history, and with its comprehensive programs, exemplified a school that was ahead of its time. This can be attested by its high school graduates who comprised all professions and included many who were tribal leaders. It is a common ground for all tribes as indicated by the 127 tribes who had over 8,500 graduates from Chilocco which included over 5,500 high school graduates and 3,000 receiving special diplomas and vocational certificates. The school offered a four track program of general education, specialized vocational training, accelerated elementary education, and college preparatory program. Students ranged from elementary age to post high school, including many who were veterans. It was the only boarding school with its own state provided National Guard unit and armory. In 1976 Chilocco pioneered the Year-Round academic program in the State of Oklahoma. Company C, 1Bn, 180th Infantry was established at Chilocco in 1925 with 75 enlisted men and one Officer. It was mobilized during WWII. During WWII, two Chiloccoans, Ernest Childers and Jack Montgomery were awarded the Congressional Medal of Honor. The unit was reorganized after WWII and became Co. C, 1 Bn, 279 Infantry. It was mobilized as the 279th Inf. during the Korean War. 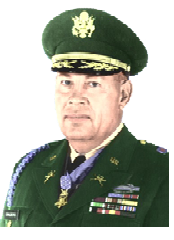 After Korea, the Chilocco unit was redesignated Co C, 1Bn, 179th Infantry. 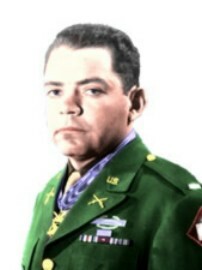 Pvt Charles George (non-student), an Eastern Cherokee was a member of Co C, 1Bn, 179th when he was posthumously awarded the Congressional Medal of Honor in Korea. 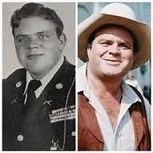 Also during the Korean war, a Texan, Dan Blocker (non-student), better known as Hoss Cartwright in the TV series "Bonanza" served with 179th Infantry. In 1966 the Chilocco unit was moved off-campus. This site is designed for visitors to easily move from page to page to view the numerous information relative to the Alumni Association and Chilocco. For additional information, contact information are provided .